WASHINGTON, D.C. (November 13, 2018) – (RealEstateRama) — The National Institute of Building Sciences welcomes Lakisha Ann Woods, CAE, as its new President and Chief Executive Officer. 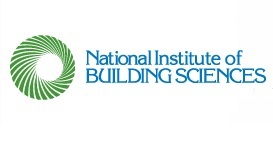 The mission of the Institute is to serve the nation by supporting advances in building science and technology to improve the built environment. In her role as President, Woods will be responsible for leading the Institute’s dedicated team of professionals, enhancing its value and visibility and growing relationships with its members, clients, public agencies and partners. She will lead efforts to expand the organization’s programs and markets while growing and strengthening its membership base. Woods brings extensive experience in association management, including strategic planning, team building and business development. She has served the National Association of Home Builders (NAHB) since 2004, most recently as Senior Vice President and Chief Marketing Officer, where she supervised a staff of 28 and oversaw a budget of $13 million, and previously as NAHB’s Vice President of Publishing and Affinity Programs for nearly 11 years. Prior to that, she held marketing and e-business roles of increasing importance and scope at the Associated General Contractors of America. Woods also is a member of the American Society of Association Executives (ASAE) Board of Directors. The Institute’s search for a new President was conducted by association and non-profit search experts Vetted Solutions.